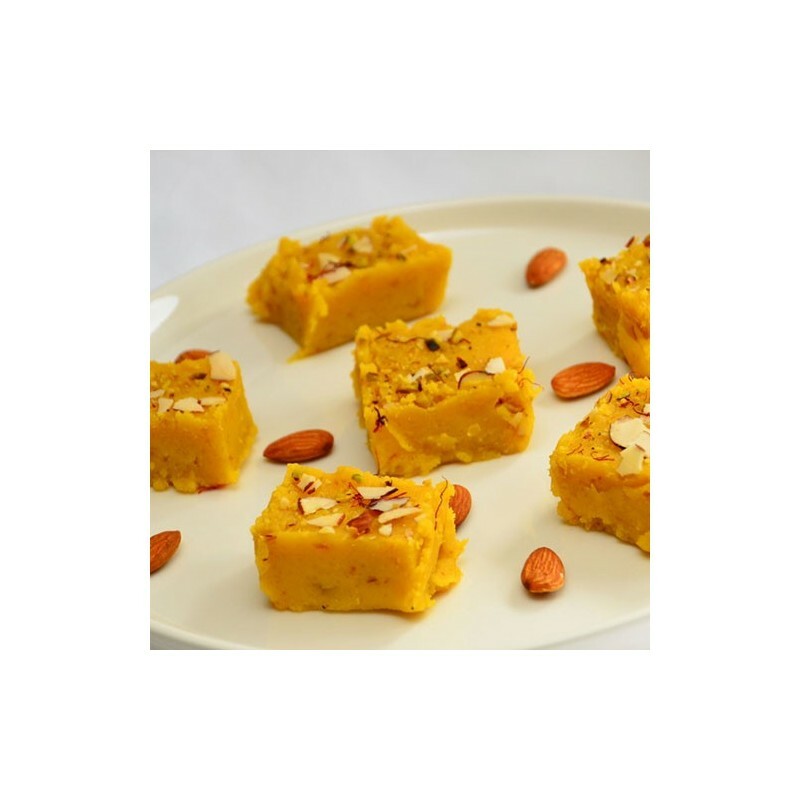 Kesar burfi which is made with milk and khoya.Kesar Burfi is a Rich, Delicious, Hyginically prepared and is a perfect choice to your dears to make them Happier on Birthdays, Festivals and on all Occasion. I am very choosy especially when it comes to sweets hence search a great deal before making a choice. This is the reason I prefer OYC as you people have a huge array of sweets in different colours, shapes, tastes and flavours. Last time I bought your Kesar Burfi that looked very inviting and liked them the most. Even though I buy many items I make it a point to include Kesar Burfis along with them. My mother was trying to prepare burfis for Diwali but could not succeed in the attempt. The burfis she made was so hard that we at home stayed away from them which in turn made her unhappy. 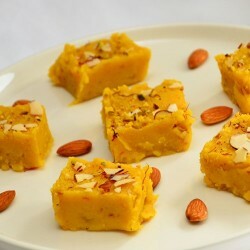 To change the mood, I suggested that we buy the Kesar Burfi from you and have it delivered them on the same day as Diwali was the next day. You guys did not disappoint us with the quality as well as with the delivery service and we celebrated the big festival with great joy. Thank you so much.